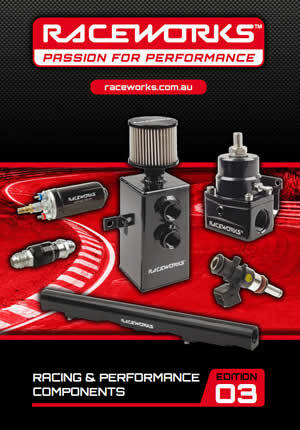 Raceworks is a range of High Performance Air, Fuel, and Fluid Management Components. Raceworks products are manufactured from premium quality materials to ensure the highest specifications and industry standards are surpassed. Raceworks components include fuel pumps, silicone hoses, fuel rails, aluminium fittings, performance hose, fuel injectors, sensors, connectors and supporting hardware. Raceworks is available through a network of specialised resellers and leading automotive retail groups who have a passion for performance. We have a Passion for Performance! Use our online search function to select a suitable performance injector and injector accessories for your application. Search for your vehicle and see the power figures that the upgraded injectors will support.